Bikes banned on city streets! Imagine if your hometown banned bikes on city streets – impossible, inconceivable? Well, it’s already a reality in the United States. In the October issue of Bicycling Magazine, in the ‘Hubbub’ section, there is a tiny paragraph article talking about local government initiated bike bans in Black Hawk, Colorado and St. Charles County, Missouri. WHAT?!!! When I read this, I literally couldn’t believe it, but, in Black Hawk, Colorado, due to ‘safety concerns’ the town council actually voted in favour of banning cyclists from riding on most city streets… Then a few months later, a councilman in St. Charles County, Missouri, proposed banning cyclists from some state highways. Think this couldn’t happen in your hometown? You may want to think again. If someone at city hall was to raise the ‘safety’ argument, it could be a really difficult one to get around. As a cyclist, and a motorist, I see the potential risk for accident and injury all the time. When I’m on my bike, I need to be completely focused on what I’m doing so I don’t get smucked, because it could be as easy as me swerving a little, hitting a pothole and slipping out on some sand or gravel. As a motorist, driving past a cyclist on the road can be almost just as nerve-wracking as you try to give them room while staying in your lane. It’s always a little dicey. It’s when motorists do things that are ‘unpredictable’ to those around them that accidents happen. If bikes and cars want to co-exist on the roads, short of major bike lane infrastructure, both cyclists and motorists need to be committed to it because there are undeniable safety risks. As motorists, we need to pay attention, display more patience, and be willing to give cyclists the space they need. If your lane is too narrow to pass safely, wait till it widens, or you can change lanes to go by. Here in Edmonton, I find motorists are generally pretty good about this, but I’ve still had a few too many close calls for comfort with aggressive drivers. Cyclists are a huge wildcard, and we’re freakin’ out the motorists! We can’t demand to be allowed on streets with motorists in traffic and not obey traffic laws ourselves. We’re just frustrating the motorists, putting ourselves in greater risk and strengthening the ‘safety’ argument against cyclists on city streets. I mean, it’s not rocket science – if we want to be on city streets and in traffic, then we need to obey traffic laws. The whole traffic system is based on the fact that we all know what the rules are, and therefore, we know what we’re doing, and we ‘should’ be able to safely assume so does everyone else. Traffic safety is based on predictability. We all know red means stop, green means go, lines on the road keep us in our lanes, etc… It’s when motorists do things that are ‘unpredictable’ to those around them that accidents happen. This is essentially what cyclists are like when we’re out there choosing to opt out of the rules whenever it suits us. Cyclists are a huge wildcard, and we’re freakin’ out the motorists! Now, I’m not saying I’m a model cyclist. I’ve been as bad as anyone – I admit it. That’s why I’m including myself in this when I say, let’s get it together. If we’re on our bike and on a city street, we have to start using a little more common sense and obeying the rules of the road. I’ll end with a question. 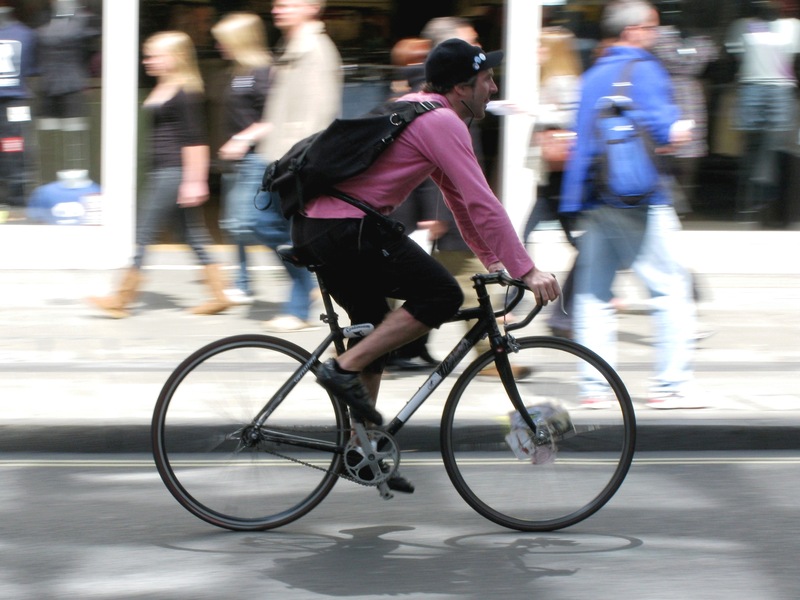 What’s the biggest ‘bonehead’ move you’ll admit to making on a bike in traffic? It’s St. Charles County not Charles County. The ban was voted down unanimously even by the councilman that proposed it. There are still 2 other “compromise” bills on the table that will impose strict restrictions on cycling on those same roads and even require 3 foot tall flags and mirrors on “Red” routes. Since the ban was proposed the incidents of drivers harasing cyclists on those roads has gone up at an alarming rate. The Katy trail runs along side part of one of the roads in question so motorists along that stretch think bikes only belong on the trail. The local media has been pretty fair about all of it as well interviewing both sides pretty equally. The fight isn’t over but at least the outright ban is dead… for now. My bonehead move: I was trying to cross a somewhat busy street and an older lady had stopped in her lane nearst me and was waving me on across. There was still 1 more lane heading her direction and a turn lane. without even looking I started to cross but a car that I hadn’t seen was coming down the other lane. I jammed on the brakes and was able to a stop. The car did as well. There was no crash but the driver was really yelling at me and I was appologizing profusely. It was my fault for sure. Luckly nobody was injured and it didn’t cause the car to get rear ended because they had to stop so fast. The city has marked the streets in my neighborhod and hopefully motorists and cyclists pay attention to these ‘sharrows’ or preferred bike routes. I think this is a great start to making both groups more aware and hopefully we see results. A little scary considering he could be the next mayor of Toronto. Crazy. The quote was originally from this article highlighting how well Montréal is doing at incorporating bicycles into their infrastructure. What I see as the mainstream negativity towards cyclists, is it comes from people who never bike. Cycling is still seen as a lower class activity for those who are not privileged enough to drive motor vehicles. Basically the same point of view since the turn of the century. With ever increasing costs and environmental damage that occurs with running motor vehicles… more and more bikes will take to the streets as times goes on, it’s already happening. Change will occur on it’s on, regardless. Even in conservative neanderthal places directed by those who really don’t see the big picture. Bikes are as mainstream as recycling/ We know it’s right, but we don’t all do it, yet. @ Brad, thanks for the update! Glad to hear that is was voted down in St. Charles. You’ve got an optimistic, but still practical view here. I hope you’re right. It makes sense that as more and more bikes hit the road, the conflict will increase for a while, until everybody gets on the same page with things. It’s interesting, you mentioned that bikes are associated with the lower classes because purely from a lifestyle perspective, being healthy and active should be seen as good thing. In some ways I can’t blame people for having a negative attitude towards cyclists. I see about 10 cyclists a day run stop signs and red lights. Just tuesday night a guy on a roadbike passed me on the sidewalk at about 30km an hour and startled me pretty good. When it comes to decision making time, do you think people will remember the nice cyclists who ring their bell and say hello as they pass eachother in the river valley, or the douchebag who ran a redlight and cut him off in traffic? Probably the latter. Justified or not, cyclists need to start changing their behaviour if we value our rights to ride on the road. The below fact speaks for itself. Do you not find it strange that there is not one thing in Ontario that a person can do or drive without a permit or license, & or insurance yet cyclists are able to come and go as they please, on roads, sidewalks, pathways, parks, private grounds, lawns etc. Cyclists have absolutely NO ACCOUNTABILITY whatsoever! They treat the roads & sidewalks like their own personal bike track marathons. 1) They run red lights. I have seen this many times in the busiest of intersections. 2) They run stop signs. 3) They do not stop to let a car back out. 4) They do not stop for a car door opening, instead the kick the car door and speedily ride away. 5) They actually have babies either on their backs, or seats or pulling a wagon with kids, yes more than one in it. Holding up traffic. HOW DANGEROUS IS THAT?! 6) They ride side by side, refusing to pull over when we honk. 7) They do not have night lights on their bikes. How many times drives have almost had a heart attack, slamming on their brakes at the last minute. 8)They weave in and around the cars that are waiting for a light change, and cut across the middle of the intersection, showing up out of no where into on coming traffic. How many times have we heard the squealing of tires, thinking that they have been killed! 9) They actually ride off the road onto busy, very busy pedestrian sidewalks, many times crashing into a pedestrian and speedily riding off. There is no way to catch them and they know it. 10) They intentionally stay in the middle of the road on side streets, holding up a driver all the way, knowing that the driver cannot pass them, catch them or identify them to report them. Cyclists show NO ROAD COURTESY what so ever! I am sure this list could be longer, but these are the points that come to mind at this moment. BIKES OFF THE ROAD, you would see that it would be an Land Slide YES! Cyclists should be subjected to the same road laws that car drivers are subjected to. 1) Pass a road safety examination. 2) Pay for and obtain a road license. 3) Pay for and display a license plate on the back of the seat and on their body fronts & backs, in neon, so that we can report them when they are in violation as they alway manage to cycle away without penalty after doing the above stated violations. 4) Pay for and obtain Insurance, just like we have to. 5) Impose front & rear head lights, so that they can be spotted from a distance on dark nights as well as neon reflectors on the spokes. 6) Police enforcement of ticketing the offending cyclist. 7) Subject to court penalties. 9) Law against babies, toddlers etc., to be carted around with them. One human per bike. 10) Unlawful to attach a wagon to the bike. That means no carting around kids in it! I am sure more can be added to this list as well. If they want to ride on the road then it’s time that they were made accountable just as every other vehicle licensed citizen is…….period. This is long over due. I live in the High Park/Roncesvalles Ave area of Toronto & these newcomers to our area have taken over our roads. Imagine risking your child’s life in this manner! Children’s Services should have more power, bcos we would definitely report many of them, as we know where they live. These people should be charged with reckless endangerment and not rewarded with more cycle lanes…….period! In the old days, we were taught to get off our bikes and walk them across the roads…..not ride across them. Same thing on pedestrian busy sidewalks. When & why have these rules changed??? @Eyes Wide Open, while a number of your observations strike me as uninformed generalizations (ie. 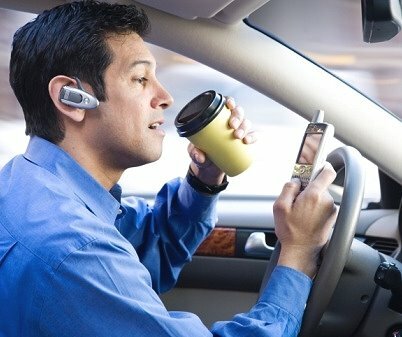 I could also say that most drivers are speeding, reckless, distracted, coffee drinking, cell-phone talking, road-raging, drunk-driving lunatics ;-), I actually agree with a number of your points. Though I can’t speak for specific situation in Toronto (since I’m in Calgary), as a cyclist I’m ashamed to say that I’ve seen a number of the tactics you mention first hand (ie. running red lights & stop signs, riding side by side and not adhering to traffic, riding without lights and weaving through traffic). I wouldn’t say these are regular (or even daily occurrences), but when they do occur, and if I’m able, I usually approach the cyclist and inform them of their wrong doing as politically as I can… These behaviours make all cyclists look bad and are endangering both themselves and drivers in the process. Also – Though I know that there is no regulated way to identify a cyclist (ie. a license), cyclists *are* subject to the rules of the road and *can* be charged accordingly – Indeed this summer I saw a Calgary Police cruiser pull over (and ticket) a cyclist after running a red light. Interestingly, the charges to a cyclist are the same that apply to a vehicle, and further the cyclist receives demerits to their drivers license. I agree, that licensing cyclists who commute on roads might not be a bad idea to make them more accountable for their actions, though, I don’t think it would be as easy as you envision (ie. drivers reporting “bad” cyclists)… If I called in every “bad” driver I saw on my commute to work, I don’t think I’d get off the phone! It may also interest you to know that cyclists *are* insured (just like drivers – though it draws upon their home insurance), and are subject to both police enforcement, traffic ticketing and court penalties (as I mentioned above). If I’m being honest though, I find some of your other comments a little shallow and narrow minded… I’m sure that just like your cycle-free car utopia, cyclists would love nothing better than their own private roadway, where they can ride in safety from marauding drivers, but banning them from the road? This is not the sort of close minded thinking that is going to garner a solution that benefits everybody (yes, yourself included). I know that here in Calgary we are lucky enough to enjoy one of the best pathway networks in Canada, and city council is actively looking at ways to *safely* facilitate more cycling traffic (be that through additional paths, on-road bike lanes etc.). Though you may hate cyclists, I’m sure you appreciate the hundreds less cars on your commute to work as well as the parking stall you rest your car in. Your commute would take a lot longer and your parking stall would either be gone, or cost a lot more if all the cyclist had to drive to work. In my mind the solution is tolerance. The solution is everybody working together. Not everybody is going to hop on a bike and ride to work and not everybody is going to want to drive either. Perhaps we should respect each others decisions and try to come to a safe, amicable way to co-exists. Though I see your point in some cases, I’m with Ken here, in that such a binary approach like yours that would see no bikes on the roads is not realistic – nor is it really in anyone’s interest. There are too many benefits to society, and to people as individuals to having cycling as a viable mode of transportation. To simply brush bikes off roads because there are dangers, is not that different from saying planes can’t fly because they can sometimes crash. There is risk in everything, and certainly in all road traffic, no mater what type of vehicle you’re in. We should look for a way to make bike and vehicle interaction safer, for all involved. Part of that is up to the motorist. And, part of that is up to the cyclist. As more people choose bikes, and more cars clutter our roads, the interaction is only going to increase, and with it, risk of accidents. People will need to get their act together if bikes and cars are to co-exist on roads. It’s a shared responsibility.